Those of you who have been hanging around various royal jewelry and style blogs for a while may have heard of StyleRocks, an Australian jewelry company that produces customizable pieces, including earrings, necklaces, bracelets, and rings. You can customize a number of features of the jewelry pieces, including the metal, the finish, and the gemstone. 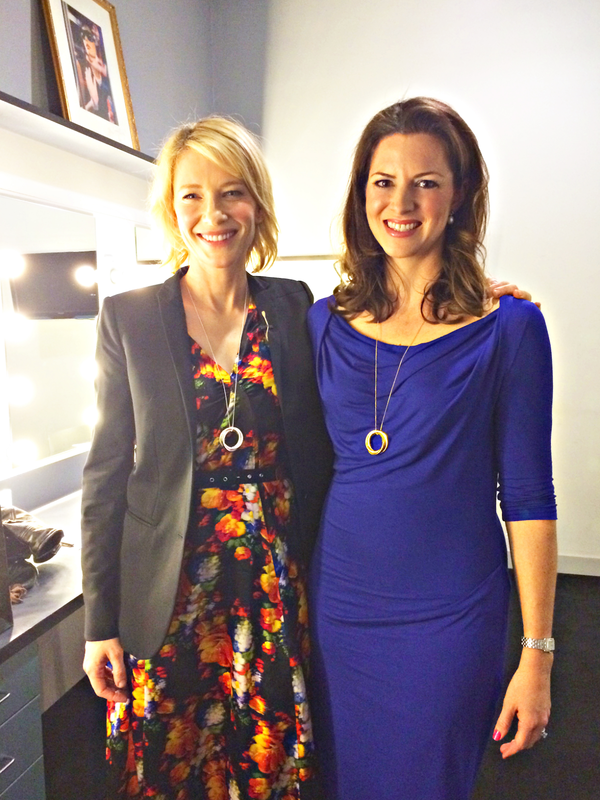 Founded in 2011, pieces from StyleRocks have been worn by celebrities, including Cate Blanchett (pictured above wearing a StyleRocks Russian Rings Necklace with the company's founder, Pascale Helyar-Moray). 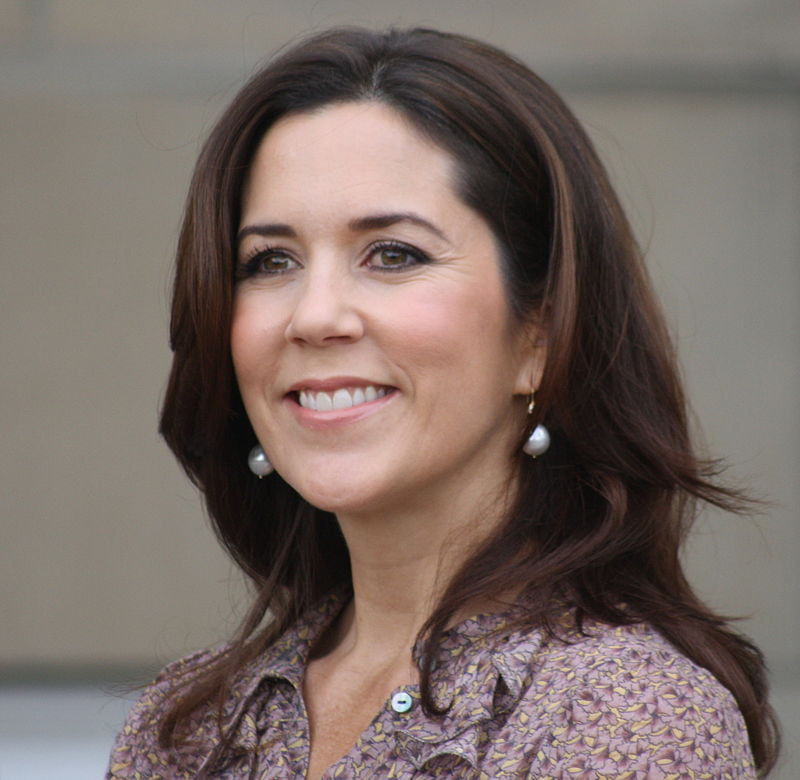 The company has also released jewelry inspired by royalty, including the Duchess of Cambridge. Because each piece of StyleRocks jewelry can be customized in so many ways, they offer an incredible number of individual options and pieces. Here's a look at the craftsmanship behind the Russian Rings Necklace worn above by Cate Blanchett and Pascale. Mary wears lots and lots of pearls -- she even had earrings from the grand ruby parure reworked to allow them to be worn with pearl drops! 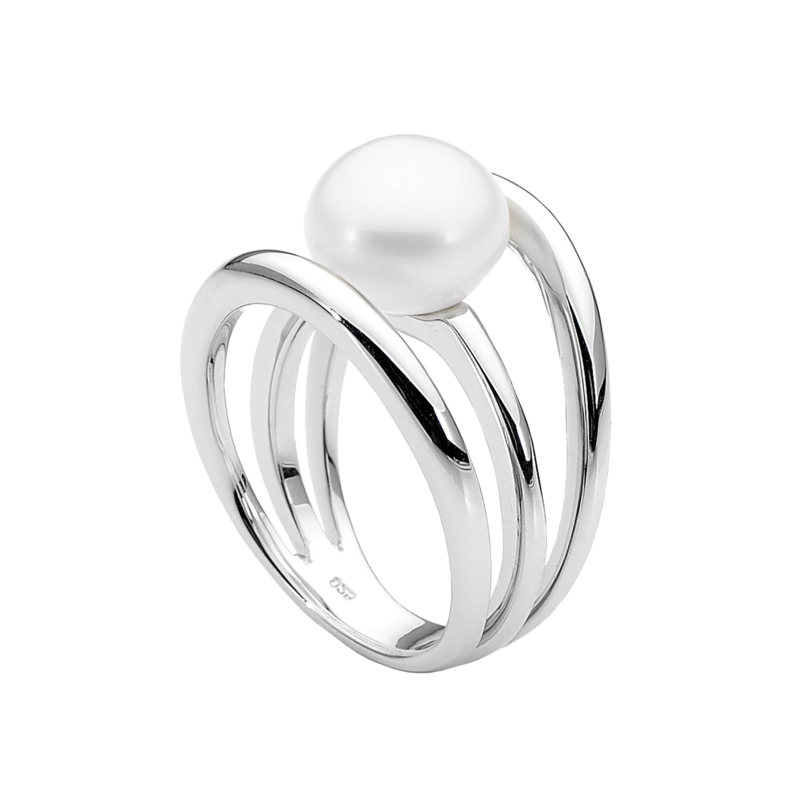 There's something about the Three Band Pearl Ring, with its single round freshwater pearl nestled amid silvery loops, that reminds me of Mary's style. The pearl is traditional and classic, but the abstract silver ring elevates it to the kind of cool minimalism that the Danes pull off so well. 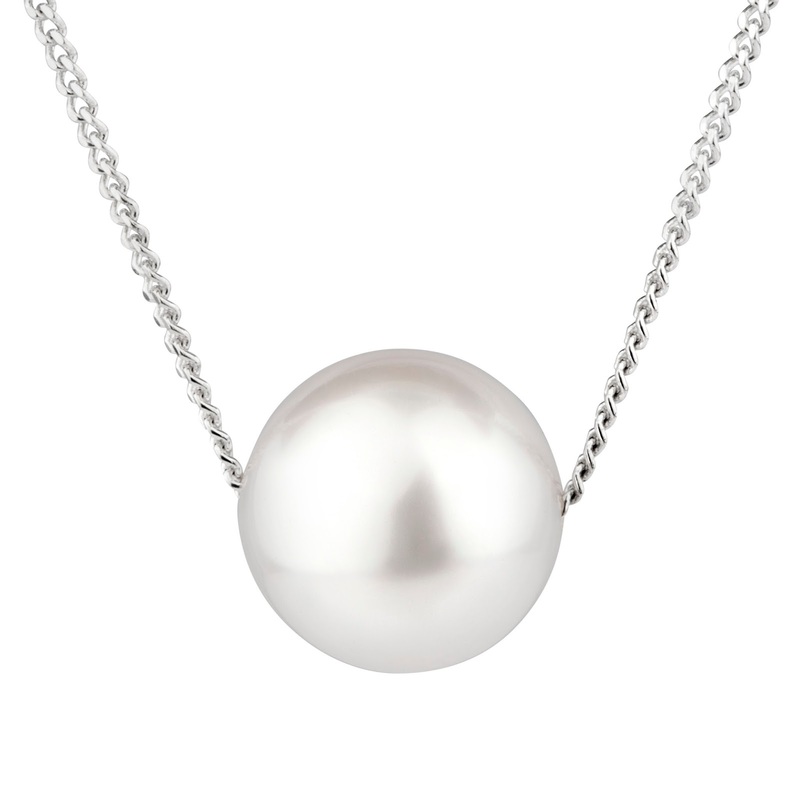 And how's this for a twist on an everyday classic: a single South Sea pearl suspended from a delicate sterling silver chain. Mary has a strand of large round pearls that she's worn at various events, but I love the statement made by the single large pearl on this necklace. It's sort of elegant and playful all at the same time, and it has geographic links to Mary's Australian homeland. We talk all the time here about the pieces of jewelry worn by various royals to honor their spouses and children, and Mary's already altered a very important piece of jewelry -- her ruby and diamond engagement ring -- to represent her four children. 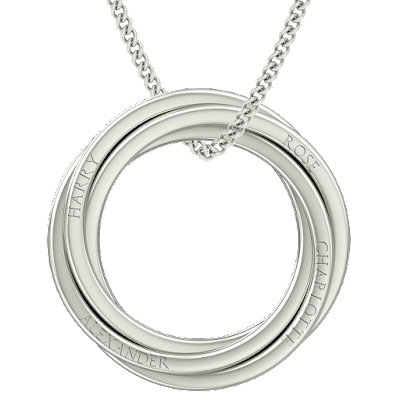 I can imagine that she'd also love the sentimental but cool Russian Rings Necklace, which can be engraved with a different name or phrase on each of its four silver rings. I like that this family tribute can be sort of stealth -- from afar, it's just a lovely pendant, but the wearer knows that it means much more than just that. While it's great to have jewelry connected to your family, it's also wonderful to wear pieces that are linked to you! Mary's a February baby with a lovely purple birthstone, the amethyst. 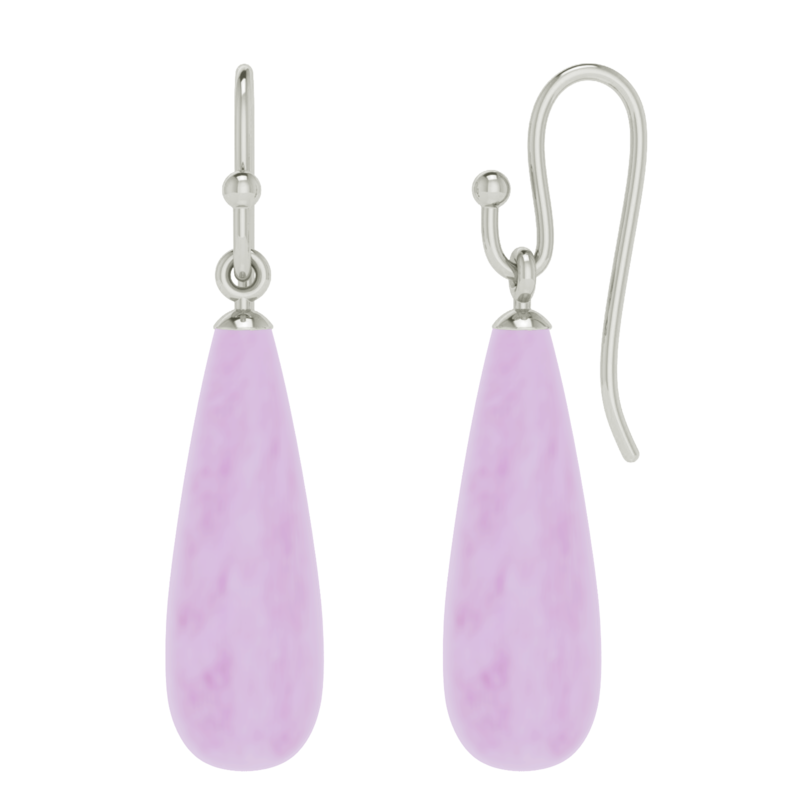 For a twist on traditional birthstone jewelry, I love these Briolette Drop Earrings. They feature pale, almost lavender amethyst drops suspended from an unusual, modern white gold earring. They'd be the perfect unexpected addition to Mary's daytime jewelry wardrobe, neatly skirting the line between classic and fresh. But for every unusual piece in a lady's jewelry wardrobe, it's also great to have a piece that is a stunning classic. StyleRocks is known for their cushion-cut checkerboard gemstone collections, featuring bright, colorful gems set in earrings, rings, and necklaces. You all know that I'm a big proponent of the semi-precious gemstone (more blue topazes and peridots for all! 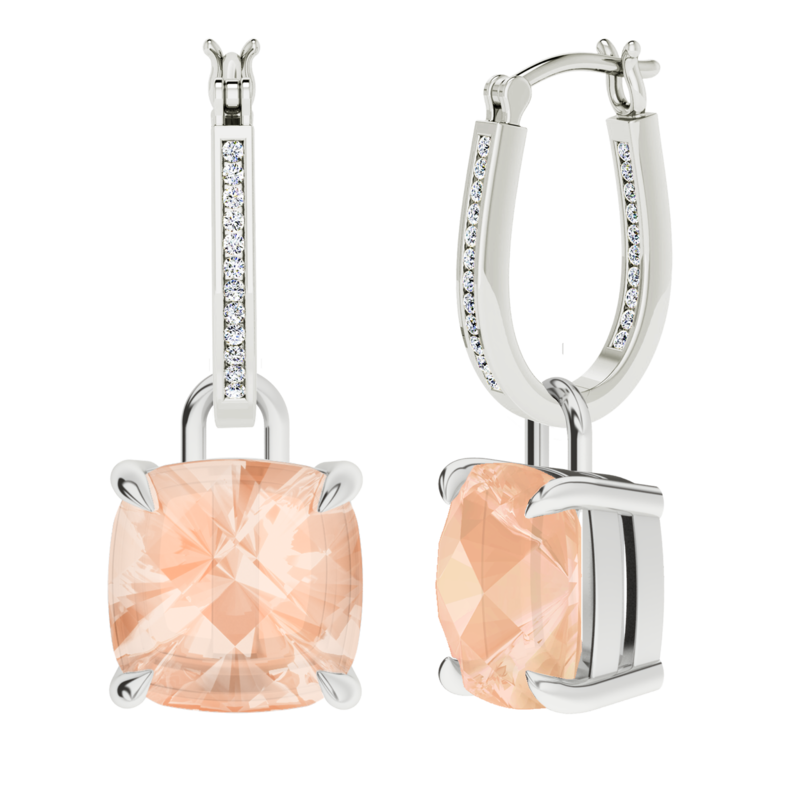 ), and I think the amazing pale pink morganite drops, suspended from white gold and diamond hoops, would be absolutely stunning with Mary's dark hair and eyes. They're definitely fit for a (future) queen! Finally, here's a piece that embodies lots of the qualities present in the jewels above: it's traditional yet innovative and fun, it would work for everyday events as well as special evenings out, and it's definitely regal. The Willow Ring is a gorgeous piece in the style of a Russian wedding ring, with three interlinked bands. (I love that the rings stay together yet move and roll, because I'm one of those people who loves to fidget with her jewelry. Beautiful and fun!) 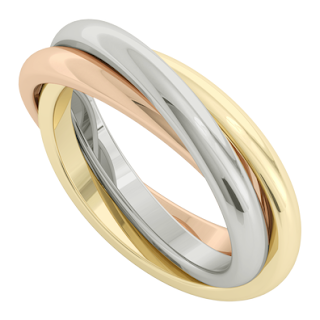 I could definitely see Mary wearing the Willow Ring with a mix of all three metals (rose gold, white gold, and yellow gold), which would make the piece feel both classic and cool in a very Scandinavian way! 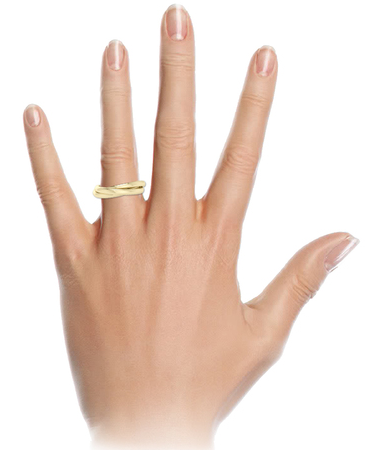 Now for the truly exciting part of the post -- Pascale and StyleRocks are partnering with us here at The Court Jeweller to give one lucky reader a piece of gorgeous StyleRocks jewelry: the 9-ct. gold Willow Ring! Because this is a giveaway from StyleRocks, and their trademark is jewelry that's customized to fit your tastes and your lifestyle, the winner of the Willow Ring will have the chance to choose which metal finishes they'd like: yellow gold, white gold, rose gold, or a combination of all three! To enter for a chance to win the Willow Ring, there are two required steps. First, comment below and let us know which of the pieces above (or from the rest of the extensive StyleRocks website!) you think would best fit into Crown Princess Mary's jewelry box. Next, visit the StyleRocks homepage and sign up for the StyleRocks mailing list. Every person who signs up for the mailing list will automatically receive a $25 credit to spend on StyleRocks's unique, customizable jewelry. The giveaway is open to all readers around the globe who are 18 years of age or older. The giveaway will be open for two weeks; it begins at 12:00 AM CDT on Tuesday, August 4 (that's today! ), and ends at 11:59 PM CDT on Tuesday, August 18. The winner of the giveaway prize will be announced on Friday, August 21. Good luck! 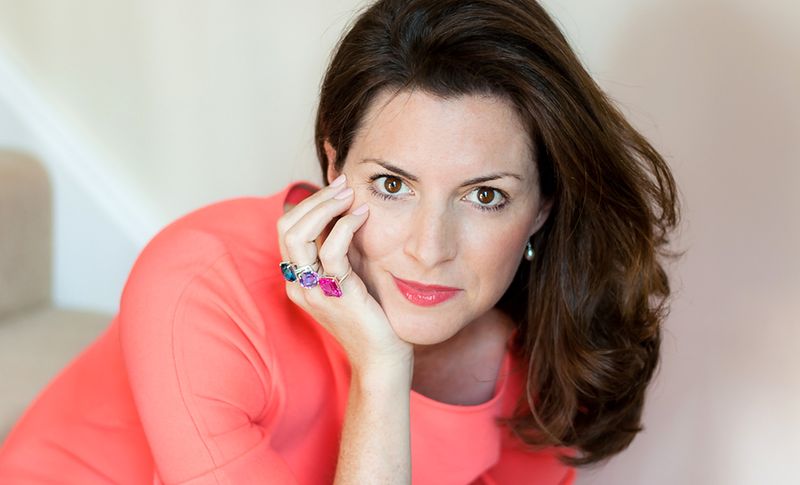 Disclosure: This post and the accompanying giveaway are sponsored by StyleRocks. All opinions expressed herein are my own. Giveaway Terms and Conditions: Giveaway ends August 18th at 11:59 PM CDT. Open internationally. Entrants must be 18 years old or older. Winner will be selected at random and will be notified by email. Winner have 48 hours to respond before a new winner is selected. Please note that The Court Jeweller is not responsible for sponsors that do not fulfill their prizes. I have represented each sponsor with the expectation they will fulfill their prize and in a timely manner. I will contact the sponsor regarding your prize(s). The sponsors, in most cases, are shipping their items to you directly. I will make every effort to assist you obtaining your prize. If there is an issue with a sponsor, please notify The Court Jeweller within 30 days for assistance, after that we may be unable to assist you. The product provided for the review was free of charge from the company. The product offered for the giveaway is free of charge, no purchase necessary. Facebook and Twitter are in no way associated with this giveaway. By providing your information in this form, you are providing your information to me and me alone. I do not share or sell information and will use any information only for the purpose of contacting the winner.